Agios Efstratios. Agios Efstratios is the third island of the prefecture of Lesbos, it is located 18 miles south of Lemnos. It owes its name to Saint Efstratios who lived and died here in exile. The monastery in its sole settlement contains volumes from as far back as the 15th century in relatively good condition. The old village was built right on the harbour, to the left of the rock. It had about five hundred houses, all two or three stories high. These are typical examples of the architectural style of the north-eastern Aegean: built of stone with covered walkways, supported by wooden poles, but also a lot of neoclassical buildings. A good example of a neoclassical building is the Marasleios-Logotheteios school, which was in use as a primary school from 1912- 1968. After the earthquake of 1968, the old village was declared uninhabitable and was entirely moved to the more fertile region of Agios Stratis. Unfortunately Agios Efstratios used to be known as a place of exile. Today however, Agios Efstratios has only friends and visitors who have nothing but good things to say about the beauty of the island. There are about three hundred people living in Agios Stratis. They live mainly from fishing and livestockand, also from agriculture. A large part of the soil of the island is still owned by the Holy Mount Athos monasteries Megisti Lavra, and Karakallos. They lease the land to the locals. In recent years tourism has developed well. On the island are small apartments, tavernas and cafés-bars. The beautiful and clean beaches of Agios Efstratios are attractive to foreigners, who can always find fresh fish and excellent cheeses at the tavernas near the beaches. 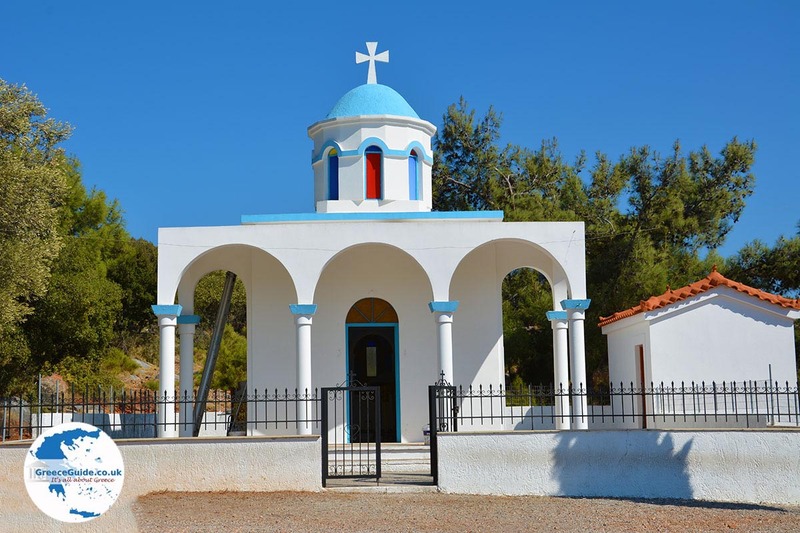 Because there are no roads on the island, one usually arrives by boat on the shores of Agios Antonios, Tragani, Lidario, Gournia, Panagia and Kalami. How to get on Agios Efstratios? 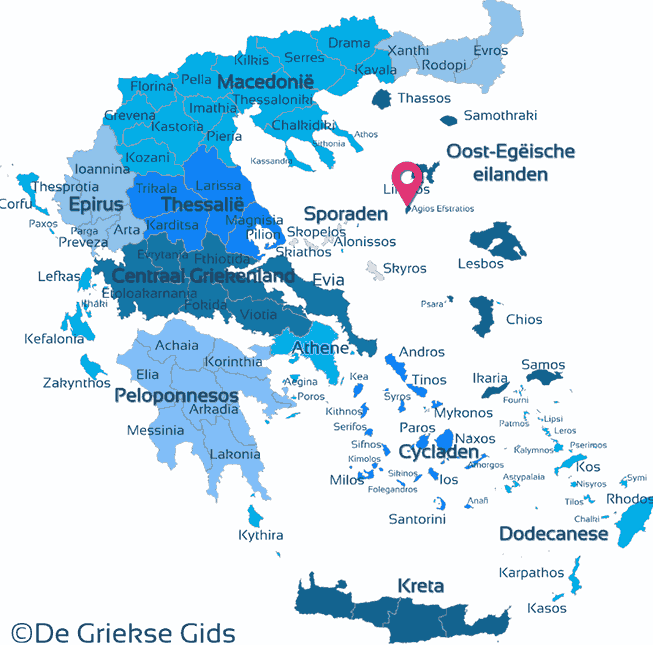 Agios Efstratios: Where on the map is Agios Efstratios located?